In early 2017, the Teachers Registration Board of South Australia completed a 12-month Induction and Mentoring Project that collected and reviewed information on best practice induction and mentoring. Quality induction and mentoring play a vital role for teachers in their first few years of teaching as this is when they build upon their knowledge and understanding of student learning while honing the skills necessary to become successful teachers. As a consequence of the national consistency for registration requirements agreed to by the Education Council in 2011, provisionally registered teachers in South Australia are required to move to (full) registration within two terms (i.e. six years) of being granted initial registration. To move to (full) registration, provisionally registered teachers must have taught for at least 200 days in Australia or New Zealand and been evaluated as meeting the Proficient Standard of the Australian Professional Standards for Teachers (APSTs). The Board has been actively encouraging and supporting provisionally registered teachers to move to (full) registration as soon as possible after meeting the requirements so there is no need to wait until renewal of registration. Further information on moving to (full) registration is available here. Supportive induction and mentoring of early career teachers allow them to meet the Proficient Standards as soon as possible and commence the transition process to (full) registration upon meeting the 200 days teaching practice requirement. Current global findings indicate that 40-50% of teachers leave the teaching profession within the first five years (Ingersoll, 2003). A major factor in successfully retaining early career teachers in the profession is the provision of supportive induction and mentoring. 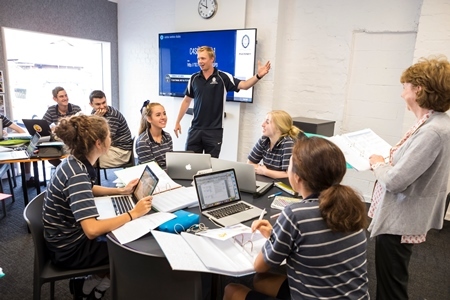 Induction refers to a formal program and other support provided to assist early career teachers who have achieved the Graduate career stage in the Standards to move to the Proficient career stage – to learn, practise and refine the elements of the professional role that are best acquired while teaching. Mentoring is a strong professional relationship that attends to the professional development of early career teachers through ongoing observation, conversations, evidence about and assessment of practices, goal-setting aligned with standards of quality teaching, and technical and emotional support. So, induction is a process while mentoring is one of many actions that may be implemented to initiate and nurture early career teachers into the profession. Further AITSL information on induction can be found here. What constitutes ‘quality’ induction and mentoring’ generally? What constitutes quality induction and mentoring as teachers move from provisional to (full) registration? What do quality induction and mentoring look like in relation to the different cohorts of registered teachers in South Australia? To explore these questions, the project comprised three phases. Conducted a review of both national and international literature to identify the key components comprising ‘quality’ processes in relation to the induction and mentoring of beginning teachers. 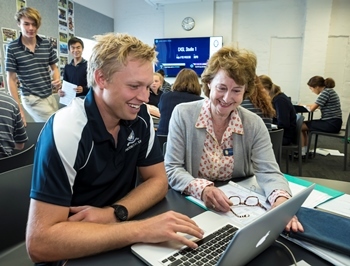 Completed an environmental scan of the current induction and mentoring practices available for teachers holding provisional registration in South Australia. Identified high-quality instances of induction and mentoring of teachers with provisional registration in South Australia to ensure that these cases were representative of the early childhood services, primary and secondary schools. To assist in identifying high-quality cases of induction and mentoring the Board engaged with stakeholders through reference groups, focus groups, and individual stakeholder representative meetings. Stakeholders included teachers, school/site leaders, employers, unions and professional associations. Clearly, teachers were fundamental participants in this project. Focus group interviews, that engaged teachers who had recently transitioned to (full) registration and who were considered to have experienced ‘quality’ induction and mentoring, were conducted across metropolitan and regional South Australia in early 2017. The mentors for these teachers were also invited to share their details and insights regarding the process and mechanisms used to support the provisionally registered teachers. The findings of the report highlight the components of quality induction and mentoring which are articulated in seven case studies of teachers and schools. The report was launched on 29 June 2018. You can read the report here.